Gauge Imperial Services (Pty) Ltd is a professional consulting company that provides Human Resources Management solutions to steer business operations towards increasing investor's wealth. We provide human resources services to all organisations irrespective of size or industry of operation. It is imperative for our organisation to devote adequate time in ensuring that we systematically comprehend our client's requirement to produce solutions that will be of beneficial to our client. We appreciate differentiation in business strategies, values, and culture; hence we strive to provide custom-made business solutions as per each organisation's needs. Our main focus is on providing Recruitment Services, Payroll Administration, Performance Management, Labour Relations as well as Training and Development. Gauge Imperial Services (Pty) Ltd was founded in 2011 by Vivian Monyela. 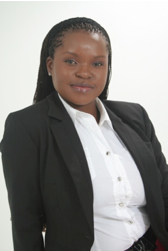 Vivian commenced her career at Absolute Recruitment and worked for other reputable organisations in the capacity of a Recruitment Consultant at Focus Kamoso and Deloitte. She sustained her career by joining the South African Bank Note Company (bank note manufacturing company) which is a subsidiary of the South African Reserve Bank in the role of Human Resources Consulting Manager thereafter she moved to Silver Crest Retirement Fund Administrators as a Director and looked after the Human Resources function. Vivian also worked (concurrently) for Tokologo Technical Assignments and Maunga Projects within the construction industry as the Human Resources Manager of both companies. She has experience within the Construction, Manufacturing, Retirement Fund Administration, Aviation, and FMCG industries performing Human Resources Management functions. It is to become the most preferred consulting company that provides real-world human resources management solutions. Is to support our clients in maximising profit by means of providing them with exceptional human resources management solutions using our differentiated service delivery methodology. Gauge Imperial Services (Pty) Ltd is a professional consulting company that provides Human Resources Management solutions across all segments of business. We endeavour to provide our customers with adequate service in line with their organisational and individual needs.